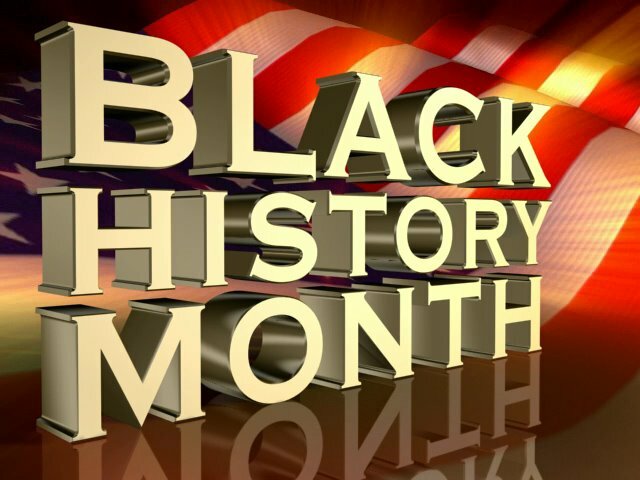 How will you participate in Black History Month? While most months of the year our country is consumed in white history and culture, ignoring the contributions and culture of African Americans, February (yes the shortest month) is set aside for the purpose of learning and celebrating African American history and culture. For many this month is only Black History month in name, while in reality everyone just goes on as usual. However this month I invite you to actually be intentional, listening and learning from the rich heritage and history of the black community! I’m grateful to God for who He in His infinite grace has made me to be: where I was born, when I was born, my lineage, all that. God allowed to be be a part of the world at this particular time in its history. I am a black man in American and I comfortable in my cafe-au-lait skin. I celebrate the past present and future of my people and their accomplishments. Here’s where I struggle: I’m uncomfortable with anything (be it race, economic status, education achievement, ad infinitum) that causes division between us as born again children of God. I especially grapple with this when churches have Black History type emphases during our corporate worship times. As one who is committed to racial reconciliation, I know you can help a brother out with some insight. Well I am a firm believer in two important biblical priniciples. Unity and Diversity. I think that over and over again we see those two themes arise out of the text. I really love Revelation 7:9, where we see in heaven a gathering “from every nation, from all tribes and peoples and languages, standing before the throne”. I think we can recognize and celebrate our heritage, history, and culture as well as other peoples in tasteful and meaningul ways. If done right, people will actually learn to understand and appreciate one another better. Now their must be a distinction between diversity and divisiveness. When things create “a wall of hostility” between folks” then their is a problem. Our identity in Christ, are supposed to break down those divisive barriers, because that is where we find our identity. However, if another Christian is unwilling to accept me for who I am because of my heritage, I would argue that they are the ones who need to be challenged. I agree that we can have tasteful and meaningful celebrations of our heritage, history and culture. You didn’t comment on my question about such during our corporate worship times. Again, I was at a church on a Sunday morning where there was a time dedicated to a Black history presentation. I’m Black and it was awkward for me. I think the focus on race during Sunday worship gatherings (especially when all races aren’t included at one time or another) might only add to the perpetuation of our segregated Sunday mornings. I know I don’t want to attend a church where there’s a white history moment during the time I came to worship. Just my opinion, I could be wrong. Hit me back. Oh… sorry missed the heart of what you were asking. To be very honest, I think different local churches play very different roles. So I will run on a short tangent. A good example, as you well know, the black church historically has been a place that has fought for equality and justice, from the conditions of slavery up till the present. They also helped to teach its members that often had inferiority complexes that they were somebody, because they were children of God, and made in his image. I believe that the Gospel was fleshed out in the African American experience. Their now exist many first and second generation Korean churches. First generation churches, help the highly Korean speaking and cultured congregants to connect in a society that does not have a place for them, nor where their language is spoken or understood. Their service takes on a Korean cultured focus. Second generation churches, often are filled with the american born Koreans, who speak English. These services are more likely to be diverse with other ethnic groups, and are either bilingual or often primarily in English. I say all that, because I think being contextual is a part of it. If I rolled up into an all white church, and they were celebrating White History Month (Which is every month but now) I would definitely have a problem with it. I could not see how that was building or equipping the church in any way. However, at Harrisburg, their was often celebrations and recognitions of different ethnic groups. The key was that it wasn’t just for blacks, but for any underrepresented group that was in the congregation. And it was really lots of whites who understood and pushed for it to be like that. They enjoyed learning and growing, and openly admitted that their culture and heritage tended to dominate the church culture already, and so this approach would hopefully balance things out, in and allow everyone to be shaped by the stories and experiences of different people groups. I think that God always has to be the guest of the day in church. So the history and culture celebrations that take place in church should never overshadow our reason for being there. However, as a part of building each other up as we grow into one body, I believe that churches can do so if their goals are biblical, aka teaching about God’s diversity, teaching that we are made in His image and are fearfully and wonderfully made, teaching against racism and injustice, etc. I imagine that my approach is risky, because I a imagine that in the black church sometimes their are celebrations that turn into boasting. That would be uncomfortable to sit through during a church service. However if the people of God in humility, can point to God’s beautiful diversity, or see how he has moved among various people groups outside of just Europe, I think it is well worth the risk. Helpful? I think I answered your question this time, lol. Steve… you are too funny, just that article. Sadly, I wonder whether or not everyone would pick up on the satire? Anyway thanks for the post! I don’t want to seem naive or unrealistic. I realize there are local gatherings which comprise a majority (if not an exclusivity) of one race or another. I minister once a quarter at an assembly whose membership is one hundred percent Caucasian, with the occasional visitor of color. But I would never, ever say that I’m going to speak to the white church. Your point about the Korean assemblies is also well taken. For me it’s hard to pass that off while at the same time bemoaning the fact that 11am on Sundays is the most segregated hour of the week. I’m not a theologian. I don’t have an M. Div or a BA for that matter. I’m just a guy God saved from the streets of South Philly who struggles with the racial divide within the body of Christ. Satire aside, it ain’t funny to me. I guess my language in saying “the black church” or “the white church” is not speaking theologically in reference to “The Church” as the body of Christ, but rather to its more human side as an institution. Unfortunately, many “churches” fall into the trap of being more of a institution and social club than the counter cultural Kingdom of God. For those reasons, I when talking about the churches racial problem use that language. However, I definitely believe that there is only One true Church, of which we are all One Family. I guess its mainly a difference of talking theologically verses sociologically. But as far as your last statement, you are definitely a theologian, whether or not you went to school for it or not. And I think it is up to folks like us to continue looking to scriptures for answers for our societies tough problems. You know very well that I too struggle deeply with the racial divide, hopefully we can keep the discussion going here, but especially a Montco where we are already starting to become more and more diverse. How grateful I am for your presence at MBF and the impact you have already had on our ministry there. You bring a perspective and sensitivity that was missing before you came. I love the dialogue. First of all, big ups to the blog name. The word describes you and your ministry. Wordsmith, you are a theologian. The way you are freestyle into the Living word with your blog comments is off the hook. This issue of Black History Month is always a hot topic. What I love about the discussion it reveals things that would other wise not be discussed. For example, it bring to the attention that history has a point of view. For example, written history takes on the view of its writer and oral history takes on the view of its speaker. Whether right or not, we all look at history differently. So who’s history do we flow with? When we talk or teach or learn about American Black History I believe it brings Glory to God. The more I learn about black History the deeper I become in my faith. Countless examples of women and men, who put God first in their lives despite their circumstances. Wouldn’t God be pleased for a Christians to bring praises to God through celebrating our unique history? On the side note, how do get a name for a blog? Try going to http://www.blogger.com, you might have to create a blog account and just not really follow through making it if you want to do that. I have seen some people with profiles and no blog. Thanks for the input fam! Tim, Thanks for the kind words. As we all know, one of the challenges with the written word (as a means of dialogue) is that we don’t have the advantage of scoping facial expressions or hearing the subtle nuances in the voice. I hope I don’t come across as a brother who doesn’t get it. I get it. When I was a young buck I spent my summers in South Carolina at my Grandma’s house. When my cousins and I went to the movies in town we had to go in the back entrance and sit in the balcony. This isn’t something I read, this is something I lived, and I’m not some really old guy. I get it. There was a time when my identity was wrapped around my being Black. It was what shaded everything for me: my joy, my anger and my ministry. Now, there is nothing more precious to me than being a part of the Body of Christ. That’s my springboard, the place where everything jumps off for me. But believe me, I get it. Big ups to Drew for this forum where we can provoke one another to good works. daughter comes home from school and is completely upset that black history month at her school has been reduced to one period of class. she goes to the library and cant find any books about slavery or black history. she complains to her teacher who tells her she can do a biography or book report for an extra language arts credit that has to be done on her own time. what a shame on our public school system and our society. lest we forget…and it seems in some places we have.